Our specially adapted vehicles can deliver direct to your site or home, saving you time and the effort of working out how to securely transport it! Our vehicles have a purpose built aluminium body to allow us to transport our products safely. Due to their size we are able to deliver anything from a small residential home to a large commercial site. We aim to deliver within 5 days, but more often than not within 48 hours. Our service area is anywhere south of Nottingham. Our drivers will deliver direct to plots as long as access is clear or into the site compound. Our drivers have a Risk Assessment and Method Statement to work to. On Multi-Unit developments, a stock control policy is operated. To ensure the Site always has sufficient material any excess material from Plots finished is retained on-site. Small orders may incur delivery charges. If you have an enquiry or would like a quote, please complete our enquiry form or call 0118 950 8929. We’re celebrating 30 years of suppling plastic building products to the UK industry – building reputation for service and reliability. Each new development is visited prior to delivery and during the life of the development ensuring potential problems are identified and resolved before they occur. 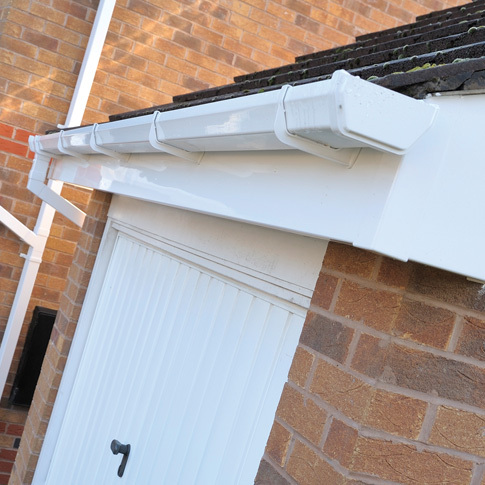 A huge range of fascias in a choice of styles, colours and sizes, to suit any building design. 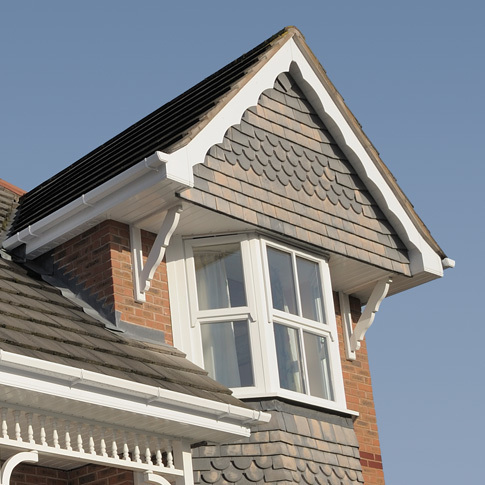 An exceptional range of soffit products ranging in colour and size from 100mm to 600mm. 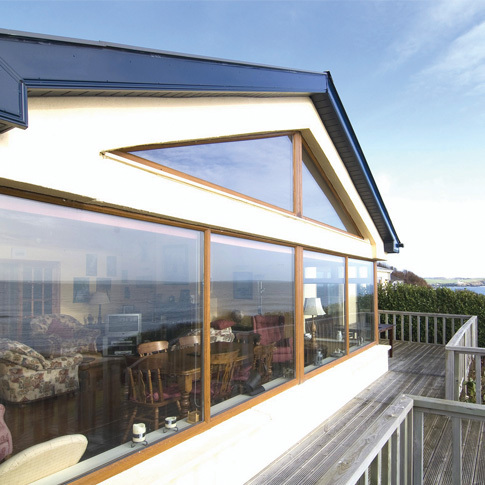 Our range has been designed to ensure both reliable, leak-free performance and quick installation. 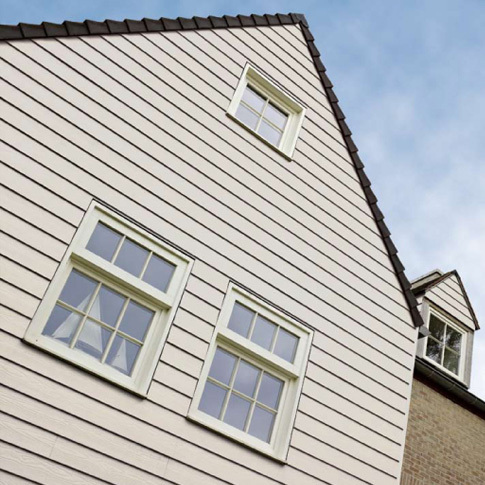 Durable cladding products offering not only a decorative but also a protective facing in building exteriors.